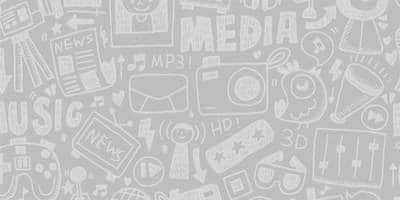 First Anil Kapoor shared these two videos of Shah Rukh and Aamir Khan proclaiming him to be the Fanney Khan of their lives and three of Bollywood's most popular actors showered each other with some Twitter love. 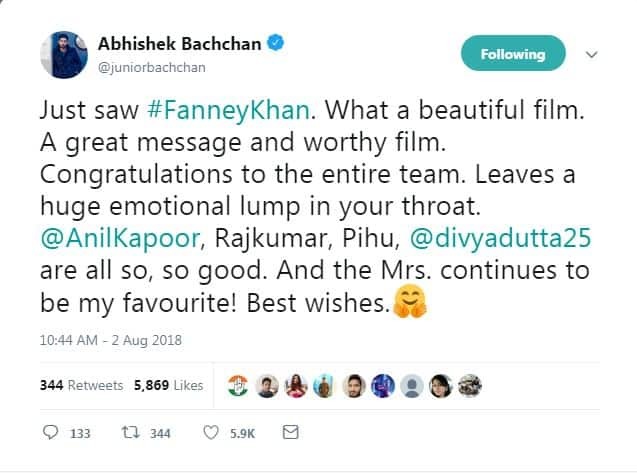 While the Khans showed Anil Kapoor their love and respect, the rest of Bollywood who caught the special screening of the film also praised the team of Fanney Khan and especially Anil Kapoor. 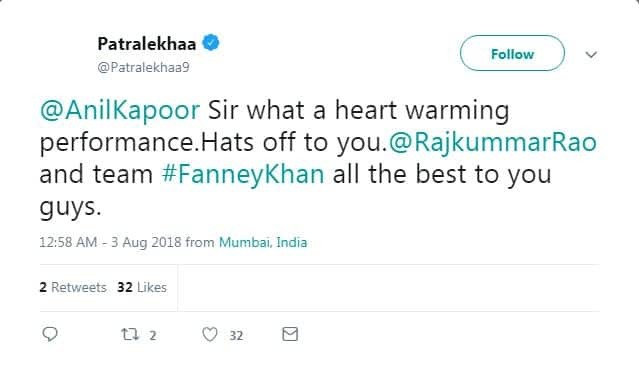 Here is what Bollywood had to say about Anil Kapoor's Fanney Khan. One of Anil Kapoor's favorite co-star of all times, Madhuri also seemed quite elated after catching the screening of the film. 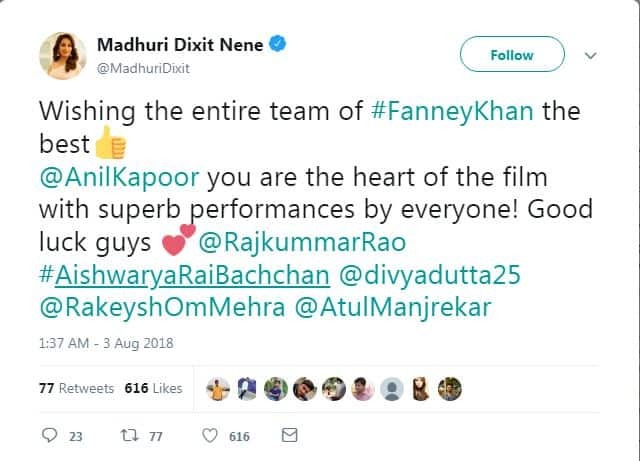 Rao and the whole team of Fanney Khan. 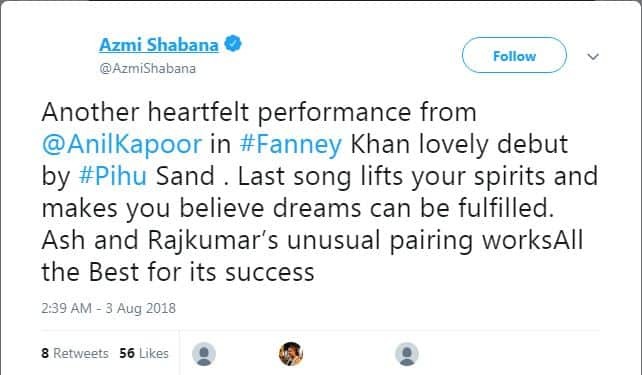 One of the most praised actors of Bollywood had some nice things to say about the film. If the veteran actress finds the film heart-touching, we can surely risk our time and money to give it a shot.